Part of Together 2030’s parliamentary engagement series. In 2016, Sierra Leone was one of the first countries to step forward to report a voluntary national review. Despite limited engagement with civil society that year, the process kick-started a closer working relationship between civil society and political actors in the country, with particular success around our engagement with parliamentarians. As a result, over the last three years, our relationship has evolved from a challenging approach to one of mutual respect and common interests. Attending the HLPF that year was useful in a number of ways. We met Together 2030 and Action for Sustainable Development who highlighted key information around SDG issues and gave us better insight into the data available for making meaningful contributions. It also allowed us to initiate discussions with government representatives. We were quite critical of the government’s report that year but understood that some of the observed lapses were by no means the responsibility of government alone knowing that implementation of the agenda was only six months in. One of the challenges that arose in our discussions was the lack of information available to both the government and civil society. In response to this, we decided to work with the media, local government and parliament to raise awareness around the 2030 Agenda and the SDGs. When we approached parliament, we presented our interests as aligned. While parliament’s duty is to represent the interests of its constituents, civil society works in the interests of same group. It made sense for us to work together on our common interest. We found that many members of parliament were just not aware or lacked the resources to undertake the fundamental parliamentary responsibility of oversight or of the important role they could play in advancing the overall implementation of the SDGs in Sierra Leone. To address this, in partnership with the parliamentary SDG committee, we organised a two-day training retreat on the SDGs. We invited all the committee members as well as the speaker, deputy speaker and parliamentary clerks. The clerks were specifically included to help ensure organisational memory throughout parliament’s regular turnover. The retreat culminated in the agreement of an MOU and action plan between Sierra Leone Coalition 2030 and the parliamentary SDG committee. Despite members of the committee changing with every change in government, the MOU remains in place, allowing civil society to maintain a formal relationship and entry point with parliament. In contrast to 2016, civil society in Sierra Leone is now playing an active and supportive role in national SDG processes. We are inputting into annual reports and we recently committed to playing a supportive role in data provision with a view to collaborating with Statistics Sierra Leone, the government agency with sole responsibility for generating national statistics. Much of this success has been thanks to the government’s clear willingness to involve civil society as well as parliamentarians’ honesty about their level of understanding of the SDGs. Along with our civil society coalition’s commitment to working with parliament, we are now working together to realise the 2030 Agenda. Working closely with parliament and government has helped us as civil society to better understand the challenges which creates a whole other dynamic in terms of how we approach our work. We still work for social accountability and to ensure that government follow up on their commitments, but we also think about our role and what solutions and support we can offer to address the challenges of delivering the ambitious and transformational 2030 Agenda. Do you have any challenges or successes to share around engaging parliament on the SDGs? If so, we’d love to hear from you. Edward Lansana Massaquoi led the national consultation on Leave no one behind in Sierra Leone with support from Action for Sustainable Development. He is also the Programme Manager for Caritas Sierra Leone, the relief and humanitarian arm of the Catholic Church in Sierra Leone. 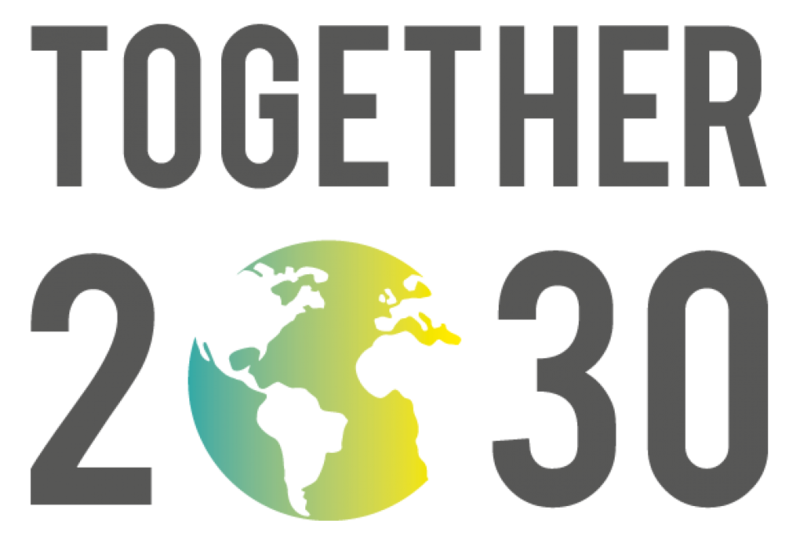 Together 2030 (www.together2030.org) is a civil society initiative that promotes national implementation and tracks progress of the 2030 Agenda for Sustainable Development. The Initiative, set up in December 2015, seeks to generate knowledge and project voices from civil society and stakeholders around the world on the challenges and opportunities for the 2030 Agenda. Together 2030 brings together civil society and non-governmental actors to discuss the way to formulate and implement roadmaps at national level and hold governments to account at all levels. As of November 2017, 570 organizations have joined Together 2030 from more than 100 countries. 72% of which are based in the Global South.